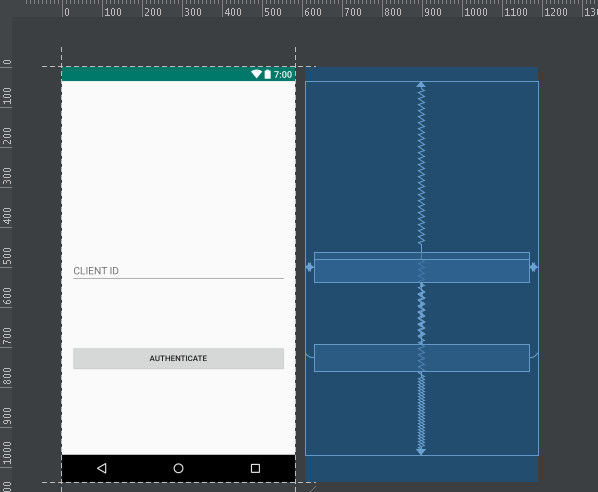 I am using ConstraintLayout in my application to make applications layout. I am trying to a create a screen wheren one EditText and Button should be in center and Button should be below of EditText with a marginTop only 16dp. Here is my layout and screenshot how it is looking right now. You can now use the chain feature in packed mode as describe in Eugene's answer. The left/right pair centers the view horizontally and top/bottom pair centers it vertically. This is because when you set the left, right or top,bottom constraints bigger than the view it self, the view gets centered between the two constraints i.e the bias is set to 50%. You can also move view up/down or right/left by setting the bias your self. Play with it a bit and you will see how it affects the views position. The solution with guideline works only for this particular case with single line EditText. 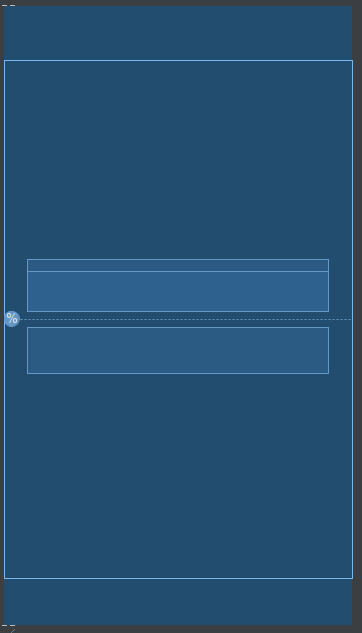 To make it work for multiline EditText you should use "packed" chain. You can center a view as a percentage of the screen size. you can use layout_constraintCircle for center view inside ConstraintLayout. with constraintCircle to parent and zero radius you can make your view be center of parent. Not the answer you're looking for? Browse other questions tagged android android-layout android-constraintlayout or ask your own question. 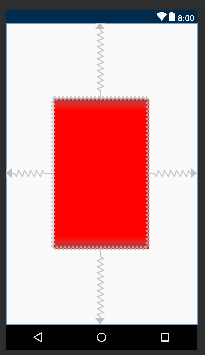 How to best place my obscured ProgressBar on a ConstraintLayout on the screen? 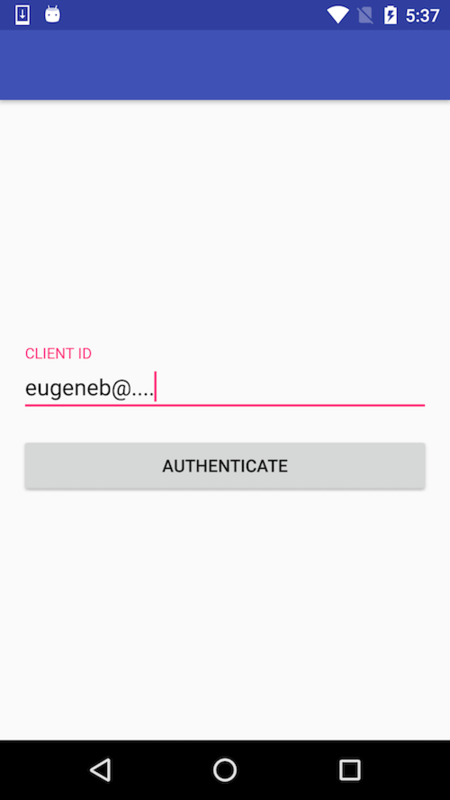 How do I put a border around an Android textview?